ntroduced decades ago, these knives are still as popular and efficient as the day they were born. This group offers functionality that was way ahead of it’s time, yet still performs without complaint in this day and age. Some designs are meant to last, and this series has become an American icon in hunting. Any hunter out there knows the Buck 110 and 119, and most likely has owned one for many years. 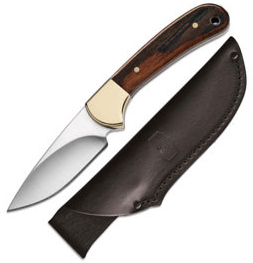 The 113 Ranger Skinner is a stylish and performance oriented combination of some of Buck’s most famous hunting knives. The classic look, streamlined feel and ease-of-use design guarantee you will come to rely upon it.